Natural granite bathroom countertops have a superb, luxury look all of their own. When it comes to installing low cost granite bathroom countertops for homes across South East London, our experts and specialists here at Pure Quartz are only ever too happy to help. From black granite bathroom countertops to white granite bathroom worktops, we offer a huge range of natural stone and superb quality care to ensure that you always leave with an affordable and great-looking installation and solution. Bespoke granite bathroom design is just one of our specialities – we love passing on discounts to all of our customers wherever we can. When it comes to finding the best local granite for homes across Bromley and Lambeth, we have the contacts and the expertise to make sure you are only ever working with leading, trusted suppliers. Cheap granite bathroom worktops never have to skimp on quality – far from it – as even the best natural granite bathrooms we create for our customers shine and shimmer and hardly touch their budgets. We always work closely with you to offer you a reliable, affordable quote for bespoke house refurbishment and room redesign. Whether you are starting from scratch or whether you are making a few changes to an existing setup, let us find a custom bathroom look that complements your personality and taste as much as it does your budget! Our granite bathroom worktops designs are amongst the most creative in our area. 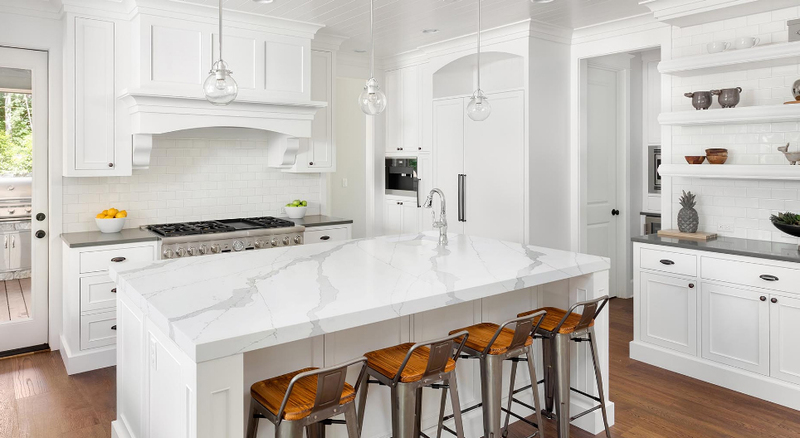 If you are looking for local, ‘near me’ expertise on all matters quartz, marble, granite or otherwise – from the top to the bottom of home design – Pure Quartz can and will be on hand to help. From Arenastone granite bathroom installations to Istone granite countertops in black, white, grey or brown, we’ll help you find the best possible look. One which is affordable for your budget, which appeals to your tastes and which works practically with your proposed setup. Many people call to obtain a quote from us as they know it will be reliable – you can buy granite bathroom countertops, floors and more from us now. You won’t have to pay at all until you are 100% satisfied with the final results. This is all part of our company ethos – we aren’t happy until you are – and that’s in terms of cost as well as quality. Covering a large catchment area across the South of England, Pure Quartz have suppliers and experts on hand and ready and waiting to help you breathe new life into an existing space, or to help you raise a brand new bathroom to an impeccable standard. Let your new bathroom installation shimmer and shine across the years – from countertops to floors and sink installations. Pure Quartz know more than a little about spectacular quality granite design. Call us today on 01233 733111 or email us with your details and we will be more than happy to show you how. Take a look at our gallery and portfolio to learn more!